Toenail fungus – can be very embarrassing. Fortunately, there is laser treatment available for this condition. Laser treatments for toenail fungus removal were first approved by the Food and Drug Administration back in 2010. 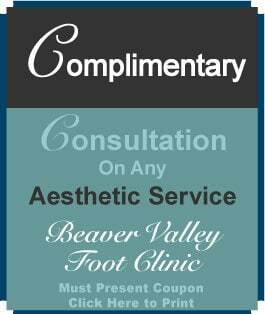 Health care professionals at Beaver Valley Foot Clinic can use several types of lasers to remove the toenail fungus. Laser treatments are popular for toenail fungus removal because they destroy and heat the harmful fungi, but they keep the healthy tissue intact. Abnormally thick or crumbling nails may be caused by injuries, pressure from shoes, fungal infections, or conditions such as diabetes, psoriasis, or vascular disease. With regular care in our office, often covered by insurance if you are at risk, can help prevent many problems from arising with these conditions. Candida (a yeast) often causes a bright red paronychia ( skin around the nail infection). there coulds even be white fluid collections of what looks like pus. Molds are often found on people with really sweaty warm feet. Your Podiatrist can get you the correct product for your type of infection. Ways to prevent fungal infections of the toenails. After bathing or showering, dry the feet thoroughly, especially the spaces between the toes. It also pays to use a hairdryer for optimal dryness. When in places like public pools, beaches, or locker rooms, always wear sandles. This is one of the best ways to avoid picking up a fungal infection. Stick to synthetic socks, not cotton. These wick sweat away instead of becoming soaked by it. Also, change your socks once during the day. Wear breathable shoes that fit properly. Wear breathable socks. Avoid tight stockings which compress the toes and can trap moisture between them. Don’t pick at the skin surrounding your nails. Use an antifungal spray or powder daily, both on your feet and in your shoes. If you do your own pedicures, keep your equipment disinfected–and insist that your nail salon does the same. Trust your gut when choosing a salon. Covering up with nail polish won’t work. It might make things look better temporarily, but will ultimately make the problem worse, as it seals in moisture, providing an even better environment for fungus to multiply. The organisms which cause fungal infections of the toenails are very hardy, making fungal nails notoriously difficult to cure. They can enter the nail and the surrounding skin through nearly microscopic cracks, or the tiniest separation between the nail plate and the underlying nail bed. Many over the counter (otc) products exist which claim to treat fungal nails effectively, and for all practical purposes they don’t work. They might be (somewhat) effective at preventing reinfection, but they generally aren’t strong enough, and more importantly can’t penetrate the nail. The only exception appears to be a prescription product called Penlac (ciclopirox), which in studies fared better than a placebo. See your podiatrist for the most effective medication geared toward your particular problem. Often the offending organism can be identified by the newer DNA testing of the nail bed material. 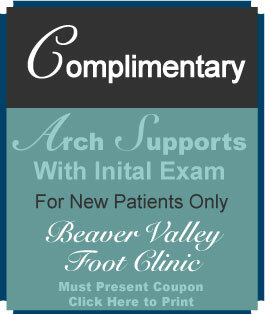 This is available locally at Beaver valley foot clinic! Dr Teimouri DPM says that over-the-counter (OTC) medications from the drugstores, whether they’re creams or the brush on type, don’t work in the vast majority of cases. Why? Because they can’t penetrate the nail, and can only be worked so far under the nail. She doesn’t recommend at home folk remedies such as vinegar soaks, tea tree oil, or bleach, either. “They don’t work. It’s that simple,” she says. At the end of the day, treating toenail fungus is a frustrating experience for many. 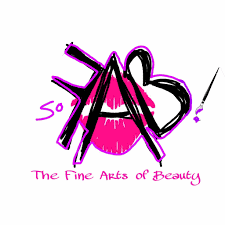 In most cases, even a small superficial improvement would be a major improvement. Mark, shares his experience with using skin resurfacing lasers to treat stubborn toenail fungus. He received treatment on all ten toes at once, after running several marathons and damaging his nails, fubgus had taken the opportunity to invade. At the same time he purchased a Podiatrically supplied topical for followup. The Podiatrist supplied topical was “an added insurance policy,” said Mark. Did it work? In Mark’s case, yes. He reports that it took over a year for the nails to grow out completely fungus free, but the final results were all he could have hoped for. The thickened yellow appearance, primarily on the nails of the big toes, had cleared up completely. “I have a Master’s Degree, and I know that things have to be studied in order to prove their effectiveness. When people ask, I tell them that it certainly worked for me, and there’s a chance it could work for you as well.” This is obviously a single case, but a growing body of evidence is beginning to back up results like those described.This leaves prescription medications as the only standard treatments which consistently get results. They’re not perfect, and they certainly aren’t a quick fix. In the case of oral antifungal meds, the course of treatment is about 10-12 weeks, and the entire nail must then grow out for the final results to reveal themselves. This can take over a year. Concerning oral medications, however, side effects are by far the largest issue. Minor side effects are common, such as nausea, diarrhea, and skin rashes, and potentially severe and permanent liver damage occur in some patients. This type of medication has earned the reputation of being extremely hard on the liver, and without routine lab-work to monitor liver function there’s simply no safe way to take oral antifungals. What’s worse, even if all goes well, there’s a chance that the infection will return within a year. With all of this being said, it’s no wonder that interest in using medical grade lasers to treat nail fungus is drawing interest from doctors and patients alike. One of the key selling points is the complete lack of side effects. A series of treatments is necessary, which take only about 10 minutes apiece. While this type of treatment hasn’t been FDA approved, many clinicians aren’t waiting, and preliminary results are very promising. Yet here’s another point to consider–the treatment of fungal nail infections is considered cosmetic as opposed to medical, so insurance won’t pay for your care. The price can be considerable yet varies widely from state to state and throughout different regions, yet costs have been steadily falling as this procedure becomes more mainstream. Regardless, it’s recommended that patients try more conservative (and less expensive) methods first, many of which are covered by insurance benefits as they’re prescribed under a podiatrist’s care. If these fail, then it’s a good time to consider laser therapy. How is laser toenail fungus treatment accomplished? Modern skin resurfacing lasers, and all lasers for that matter, create what is known as coherent light. What this means is that the light they emit isn’t just extremely focused, it’s traveling in an actual beam. Lasers carry a tremendous amount of energy, which can instantly cause very large, short lived accumulations of heat in a target tissue. In this case the target tissue is the fungal organisms which cause toenail fungus.Laser toenail fungus removal operates by creating heat in areas of fungus. Lasers of several different types are commonly used to combat fungal infections. They vary in size and strength, yet even the smallest, least powerful medical grade models can produce enough heat to destroy fungus living under the nail plate. The presence of a systemic condition, such as metabolic, neurologic, or peripheral vascular disease, may require specialized foot care by a professional that, in the absence of such condition(s), would be considered routine (and, therefore, excluded from coverage). Accordingly, routine foot care may be covered when systemic condition(s) result in severe circulatory embarrassment or areas of diminished sensation in the patient’s legs or feet. In these instances, certain foot care procedures that are otherwise considered routine (for example, cutting or removing corns and calluses, or trimming, cutting, clipping, or debriding nails) may pose a hazard when performed by a non-professional on patients with such systemic conditions. The following metabolic, neurologic, and peripheral vascular diseases (with synonyms in parentheses) most commonly represent the underlying conditions that may justify coverage for routine foot care. Note: This list is not comprehensive. ●The treatment of warts (including plantar warts) on the foot is covered to the same extent as services provided for the treatment of warts located elsewhere on the body. In the absence of a systemic condition, treatment of mycotic nails may be covered. The treatment of mycotic nails for an ambulatory patient is covered only when the physician attending the patient’s mycotic condition documents that (1) there is clinical evidence of mycosis of the toenail, and (2) the patient has marked limitation of ambulation, pain, or secondary infection resulting from the thickening and dystrophy of the infected toenail plate. ● The treatment of mycotic nails for a non-ambulatory patient is covered only when the physician attending the patient’s mycotic condition documents that (1) there is clinical evidence of mycosis of the toenail, and (2) the patient suffers from pain or secondary infection resulting from the thickening and dystrophy of the infected toenail plate. When the patient’s condition is one of those designated above by an asterisk (*), routine procedures are covered only if the patient is under the active care of a doctor of medicine or osteopathy who documents the condition.